Last night after work I was having a beer with a colleague, and amongst various other things, we ended up talking for a few minutes about how long the Hubble Space Telescope will last. Specifically, we were discussing whether it will remain useful until 2018, which is when NASA is currently* planning on having the James Webb telescope ready. With the Space Shuttle fleet now retired, NASA doesn’t have any ability to perform maintenance on Hubble, replace parts, or make any required adjustments – so its days are numbered. At some point a gyro will fail, its alignment platform will lose its precision, and the imaging CCD sensors will have pixels die. It’s inevitable, but my colleague and I ended up agreeing that Hubble will likely remain functional in some way (though perhaps not in 100% condition) for the next six years. * = I say “currently” because the James Webb telescope is presently four years behind schedule (and drastically over budget) so it is impossible for me to say confidently that 2018 will end up being the actual date that it’s ready. Then today, we read the news that there are two telescopes (better than Hubble) just sitting around collecting dust in Rochester, NY. It sounds almost unbelievable, but it’s true. 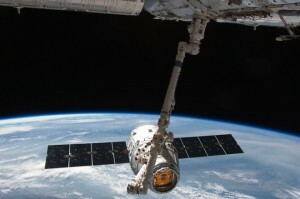 The US Department of Defence has gifted two better-than-Hubble space telescopes to NASA. And before we get into these two new ‘scopes, let’s take a little look back at the Hubble Space Telescope, which has allowed us to peer deeper into the cosmos than we ever have before. 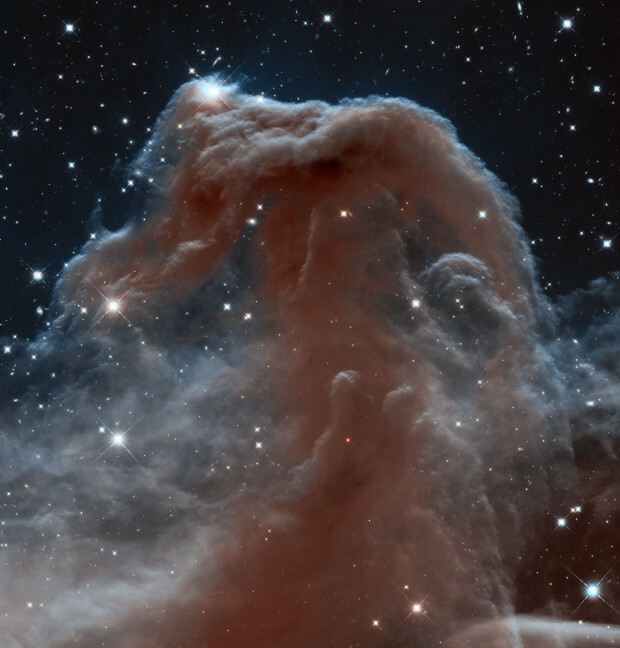 The Hubble telescope is named after Edwin Powell Hubble, who was an astronomer in the early 20th century. Around 1920 he made the remarkable discovery that there were other galaxies beyond our own – a fact that we take for granted today (and of course he did other things too). 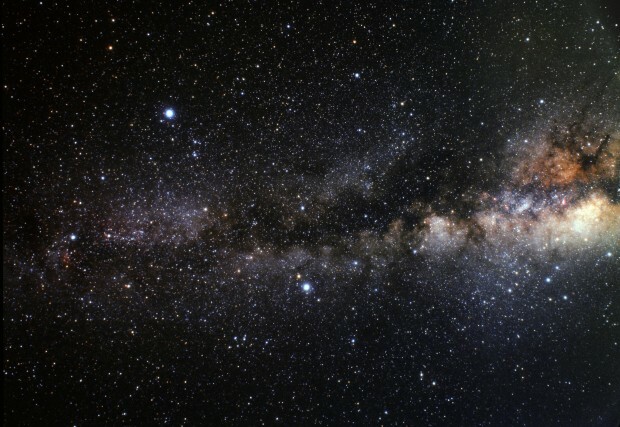 Shortly after that, in the mid-1920s, the idea came about (from a German named Oberth) that it would be a good idea to put a telescope in space. Various ideas and designed followed over the next 30-40 years. 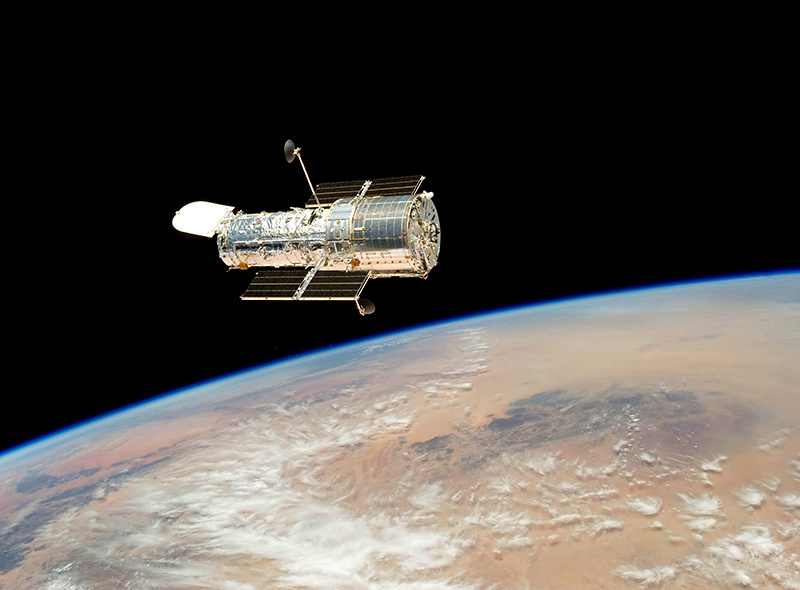 Some satellites were launched (NASA launched the Orbital Astronomical Observatories in the 60s), however nothing yet on the scale of Hubble (which at the time was called the “Large Space Telescope”). In the mid 1970’s NASA started work on the Space Shuttle, which would be the new vehicle that would carry equipment into space – and allow (for the first time) service-calls while in orbit. Then, in 1977 the US Congress approved funding for one of the most sophisticated satellites ever built. 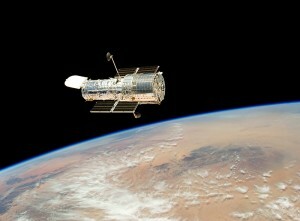 This satellite was, of course, Hubble. Skip ahead a few more years to 1985, and Hubble was ready for launch. But in 1986 disaster stuck, with the loss of Space Shuttle Challenger, grounding the entire Shuttle fleet for two years and pushing back the launch of Hubble to April 24, 1990. And today, I repeat for a third time, the US Department of Defense (DOD) has gifted two telescopes – better than Hubble – to NASA. These two new telescopes were apparently built in the late 1990s by DOD contractors. Their mirror (the main component in determining the power of a telescope) is the same size as Hubble’s at 2.4m however their optics are much improved, including a field of view 100-times that of Hubble. These two new telescopes also have a maneuverable secondary mirror that Hubble lacks, allowing for higher-precision focusing. 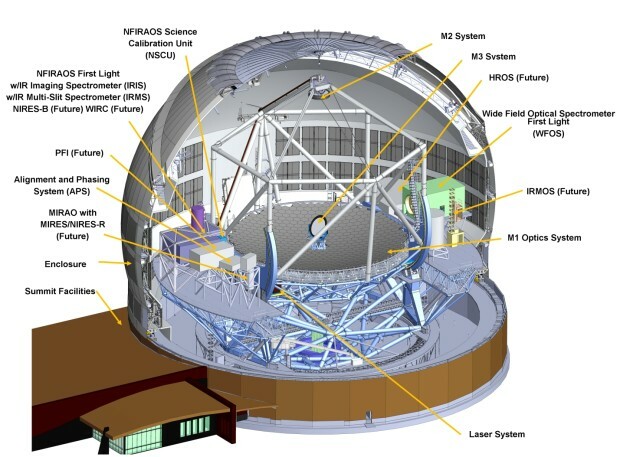 The design of the new telescopes also allows for a broader set of instruments to be installed. The fact that these two new-found telescopes are better than Hubble shouldn’t be terribly surprising. When Hubble was designed and built, it was absolutely state of the art. But it was also designed and built in the 1970s and 80s. These two new telescopes were designed and built in the mid/late-1990s – and technology progressed a lot over those 20-30 years. The surprising bit to me is two-fold: 1: The DOD had these two telescopes sitting in a warehouse in Rochester, NY collecting dust; and 2: The DOD, by openly gifting these telescopes to NASA, is willing to face intense scrutiny (and rightfully so) regarding what else they have sitting around collecting dust and how much money they have spent/are spending on projects like this (big kudos to the DOD for a willingness to bite that bullet, in the interest of helping out NASA, since the DOD could have just as easily scrapped these two beauty’s quietly). Now onto the practical part of this story: NASAs budget and space lift capabilities, or lack thereof. 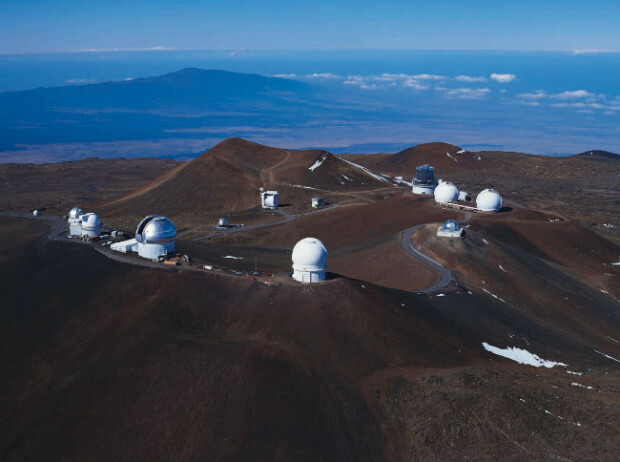 The two new telescopes need instruments. They need staff support. Scientific missions. Office space. After all that, they need to be launched into orbit and deployed. NASA simply does not have the capacity to do any of this, and likely won’t for another decade or so. Now NASA has undergone budget cuts lately, but to be fair a lot of this pain is self-inflicted: their previously referenced James Webb telescope has incurred such staggering budget overruns that it has forced the cancelation or delay of numerous NASA scientific missions. NASA estimates that it could be 2024 until they have the ability to launch one of these new telescopes (launching the second one wasn’t even considered), unless money is no object, in which case they might be able to do it by 2018-2020 – which is still a rather long time line. My solution? NASA should sell one of the new telescopes. I’d be quite certain that either another space agency (European Space Agency, Japan Space Agency) or a commercial enterprise (SpaceX) would love to get their hands on one of these telescopes. The benefits of selling one of them are numerous: NASA would get a cash injection right now that it desperately needs; the likelihood of both these telescopes being put into service would be greatly increased; the idea of creating some competition in the ‘discovery industry’ is a good one; one of them would probably end up in space faster than 2018-2024 that NASA projects; and by engaging another agency or company, NASA can help to inspire others to make amazing discoveries and help us to learn about the Universe and how we got here. And of course NASA will still have the other telescope (and James Webb) to outfit, launch, and operate as their budgets allow. I do expect the DOD would have something to say if NASA wanted to sell one of these new telescopes (it could very well be part of an agreement that NASA cannot sell them) as some of the design and technology inside is classified – and I’m sure the DOD would be hesitant to have outsiders crawling around inside them. Hopefully this problem can be overcome. 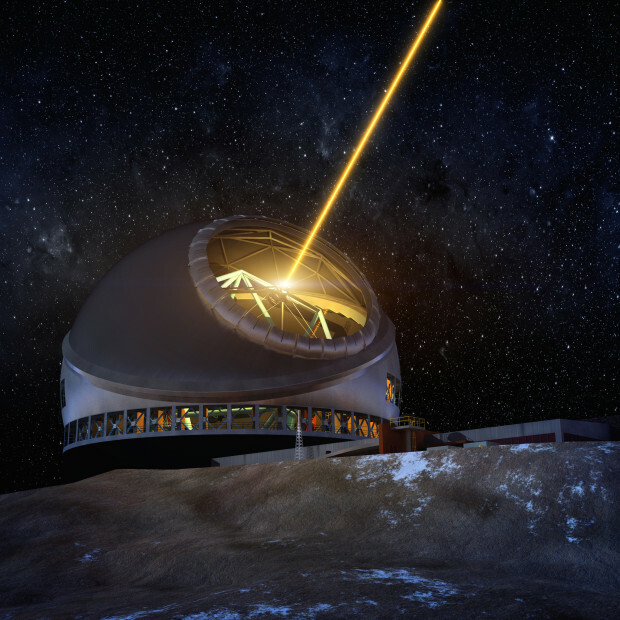 Whatever happens with these telescopes, in the very near future when I wake up tomorrow, I will live in a world where there are two more space-telescopes than I knew about yesterday – and that’s a good thing.